It’s no secret that Europe has been overrun with Islamists in recent years, many of them refugees. It’s a product of a failing political and economic situation in the Islamic world, and a naive and absolutely insane policy of open borders in Western European countries. Well, one picture has been released that show exactly the scope and scale of the refugee migration and its effect, posted on Facebook by Paul Joseph Watson. It’s of a public monument on Paris. 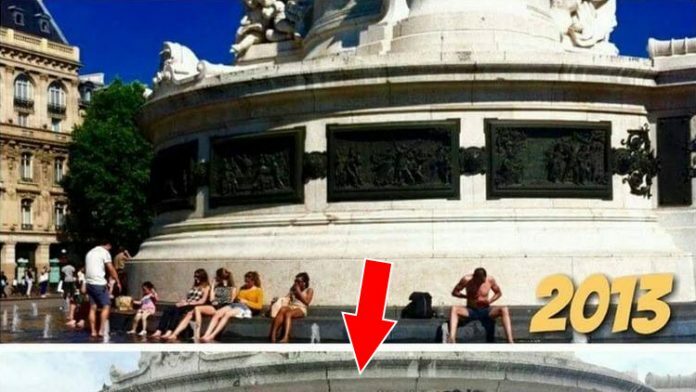 In 2013, it was clean, with tourists and locals sitting by it, as you’re apt to do it a public square. Fast forward to 2016, and it’s a different story. This is your brain on leftist policies. The takeaway is not that this square was trashed with graffiti, because it was a state-sanctioned event. 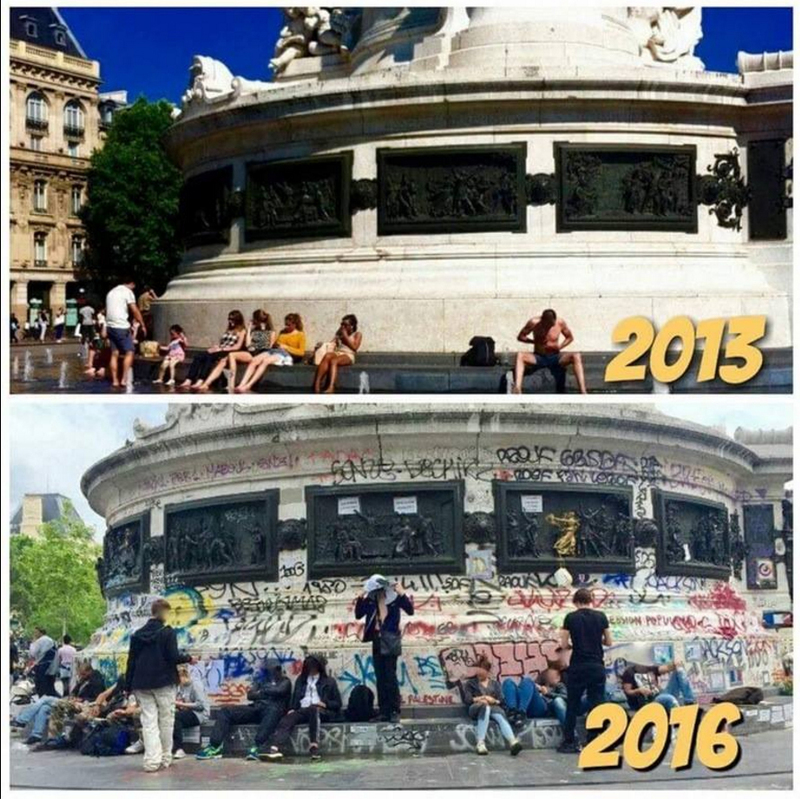 The main focus is that graffiti was allowed as a memorial for the tragic Paris shootings, perpetrated by Islamist refugees that couldn’t stand to see infidels live lives of freedom, so they snuffed out more than 120 innocent lives in a single night. The square was later cleaned up, but the damage was done, and we’re living with the aftermath every day. We can do better. Share this everywhere.